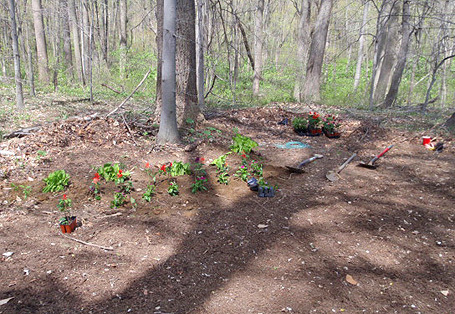 Thanks to Josh Cherry and fellow Boy Scouts from Troop 130, NGAP now has beautiful walking paths in the woods surrounding our kennel facility. 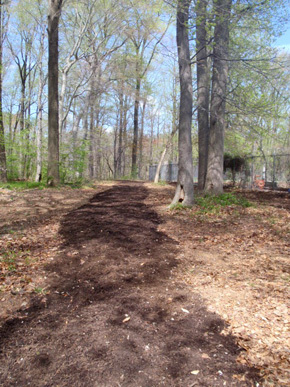 NGAP provided six truckloads of mulch, and the Scouts just raked away! The paths will be open for walks every day during normal kennel hours. 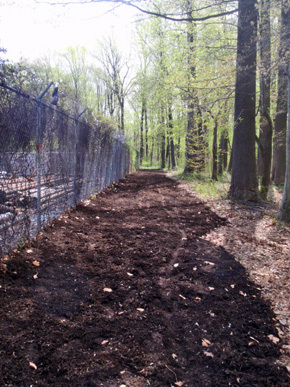 Josh and company worked very hard to create these paths for our adopters and volunteers to enjoy. Come take a walk in the park - you can even bring your own greyhound! Our only requests are that all dogs be leashed (sorry, no dogs running free) and that you stick to the paths, otherwise you will no longer be on our property. If the gate is locked during walking times, just let a staff member know. Thank you again, Boy Scout Troop 130!